Those shoes are adorable and they are perfect with that top! This outfit is literally everything! I love the pattern mixing and the sweet scallops & ric-rac detailing on the shoes! 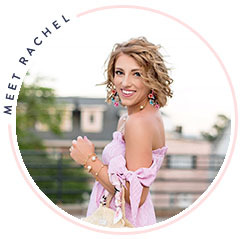 This top is so cute on you, Rachel, and I love how you paired it with those flats!